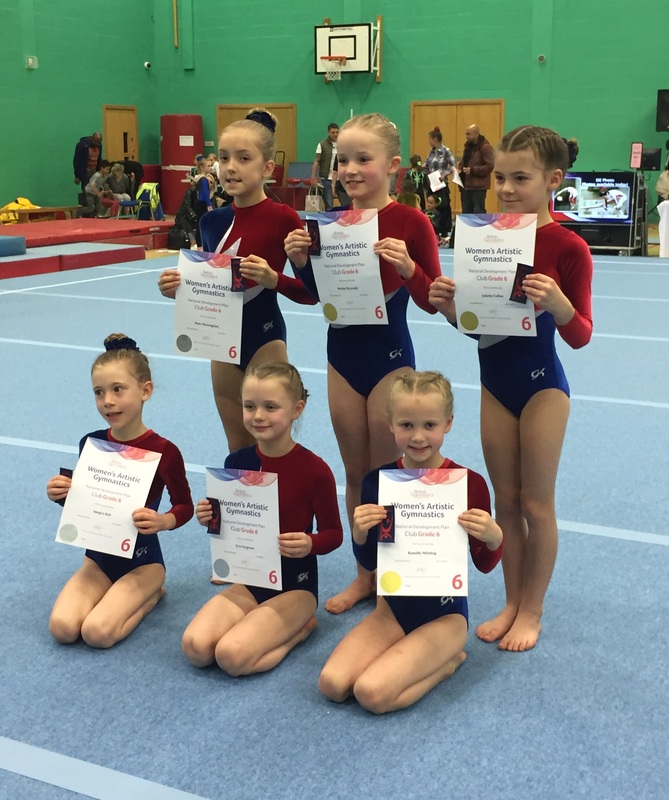 8 gymnasts represented Wetherby. All performed with confidence and did the best they could. 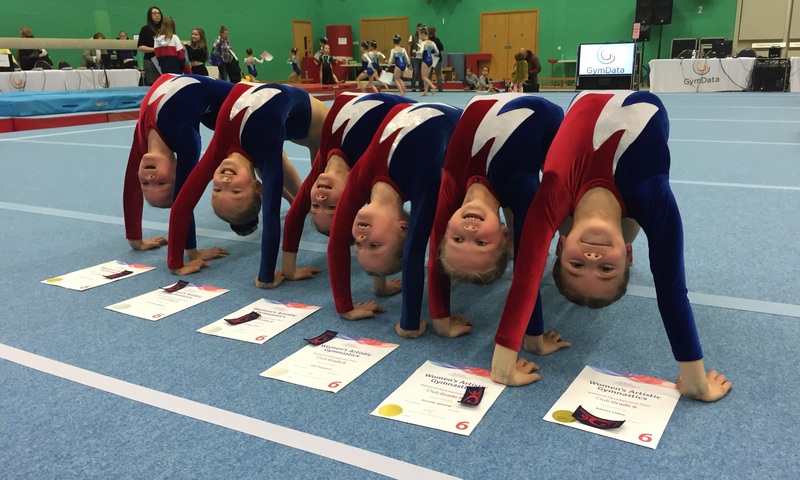 This was the biggest competition of the weekend with 82 gymnasts age 8 taking part. 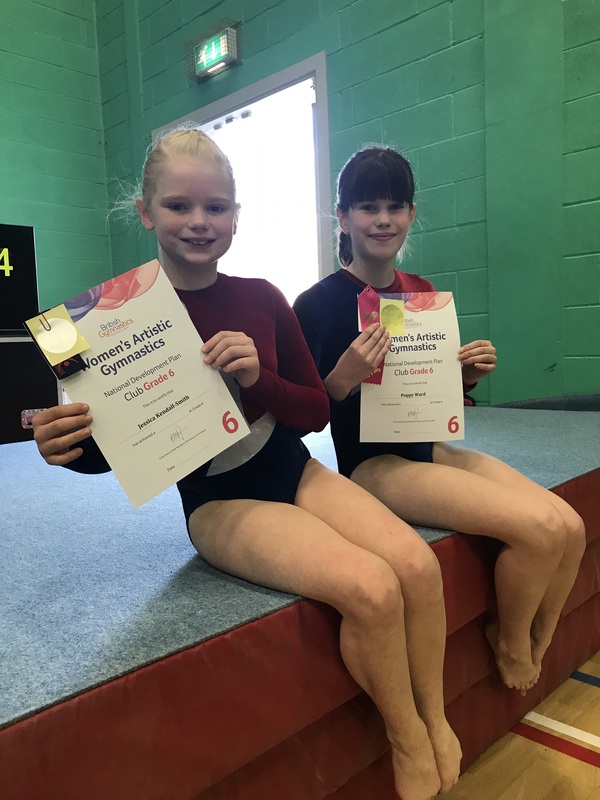 Maisie passed with distinction placing 12th overall and 6th on beam. Romilly passed with distinction placing 17th overall. Juliette passed with distinction placing 14th overall and 9th on conditioning. Evie passed with commendation missing distinction by a tiny 0.017, placing 23rd overall. Rosie passed with commendation placing 31st overall. Imogen passed with commendation placing 35th overall. Poppy passed with distinction placing 4th overall achieving the pink Yorkshire ribbon and 3rd on conditioning. Jess passed with commendation placing 9th overall and 4th on conditioning. Thanks go to Nichola for her coaching both in preparing the gymnasts and at the event. Greg Hilton on I spy with my little eye…..?